With the sweltering heat of summer, it is really important to make sure that your air conditioning unit is functioning at its best. With a well-functioning air condition unit you get the guarantee that you and your family will enjoy the refreshing comfort and convenience that you can get when you’re at home. One way of keeping your home AC in excellent condition is to get it regularly checked and inspected so that whatever problems you can could be eventually detected and provided with the necessary repairs or services for your satisfaction and convenience. If you are looking for the premier air conditioning solution that will guarantee excellent performance for your air conditioning unit, then look no further because we are here to deliver services that are beyond your expectations. Before we do any action on your air condition, first, we conduct a comprehensive home AC inspection to determine if your air condition needs repair or replacement. However, even before your air conditioner breaks, it is important that you provide it with the necessary maintenance to keep it good. Call us at All Week Air Conditioning at the start of spring or summer for annual AC inspection to make sure that your air conditioner will function in the smoothest and most convenient manner possible. Why is AC & Cooling System Inspection Important? With our 24/7 service, we also have a complete stock of parts and supplies for every air condition brand imaginable. 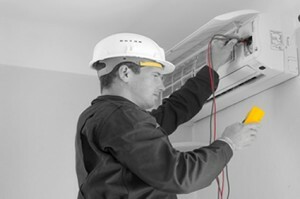 Call us if need any job related to air condition, from inspection and repair to installation and replacement, you can trust that our efficient and reliable service will definitely keep your air conditioner functioning in excellent condition. With our customized service, we’ll see to it that whatever problems you have will meet with equally effective and efficient service from us. Call us at All Week Air Conditioning and get the service that you deserve!